During my time here on this earth, thus far, I have mostly lived by the rule of never half-way doing stuff. It has really paid off in many respects and plan on keeping up my mantra as long as I can. Some automotive companies might be able to learn a bit from this same goal in life as Subaru obviously fails to fit the bill with a newly introduced BRZ Series.Blue trim. Yeah, what you see here isn’t the dream BRZ STi with a turbocharged engine we have all been wishing for, it is basically something that looks really pretty but has the same underpowered 2.0-liter naturally aspirated 200-hp boxer 4-banger. With sales slowing of the FR-S and its BRZ sibling, it begs to ask if the separate departments and bean counters at Toyota and Subaru are communicating in a proper way. I have a quick answer to getting some more sales out of these well-handling sports coupes, add some more power instead of a $30,285 price tag for some good looks! It is just that simple folks. I would have to say this Subaru BRZ Series.Blue is great to look at, but in my view it is losing in the rearview mirror of its competition. Ever heard of all-show-and-no-go? Yeah, that’s what ya got here guys! Go home BRZ Series.Blue, you look good but you’re drunk! Cherry Hill, N.J. – Subaru of America, Inc. today announced pricing for the 2015 BRZ. Starting at $25,695, the BRZ lineup focuses on the fundamentals of great sports car design: low vehicle weight, an ultra-low center of gravity and precision steering. Powered by a 200-horsepower 2.0-liter BOXER engine, the Subaru BRZ marked a return to the fundamentals of sports car design, emphasizing low vehicle weight, an ultra-low center of gravity and precision steering.New for 2015 is the introduction of the BRZ Series.Blue limited to 1,000 cars for the continental United States. 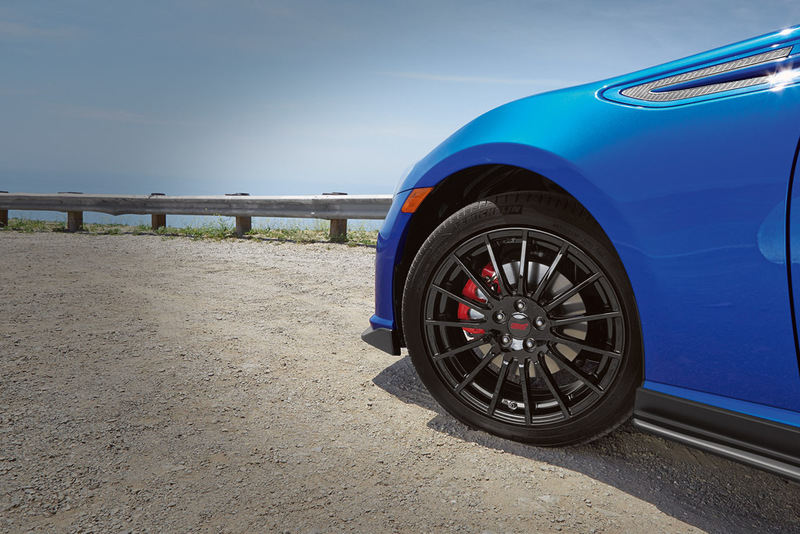 An exclusive combination of STI®-branded functional aerodynamic body design, black-painted STI-branded 17-inch wheels and unique interior trim creates a striking look for the BRZ Series.Blue, which arrives in Subaru dealerships in July. Subaru will offer 500 painted WR Blue Pearl and 500 in Crystal White Pearl exclusively with a 6-speed manual transmission.The BRZ Series.Blue boosts the car’s aerodynamic performance with black STI-branded front, side, and side-rear under spoilers, which contribute to additional front downforce, and underbody panels that, while not seen, reduce the coefficient of drag (Cd) from 0.28 to 0.27.The Series.Blue also brings impressive appearance upgrades that enhance its performance image. 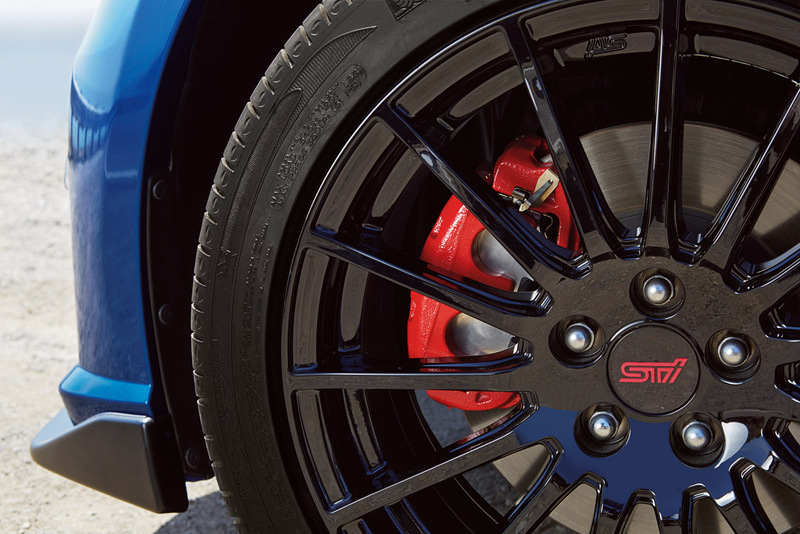 Emphasizing the BRZ’s pure sports car nature, red-finish brake calipers can be seen behind the spokes of the STI- branded black alloy wheels. 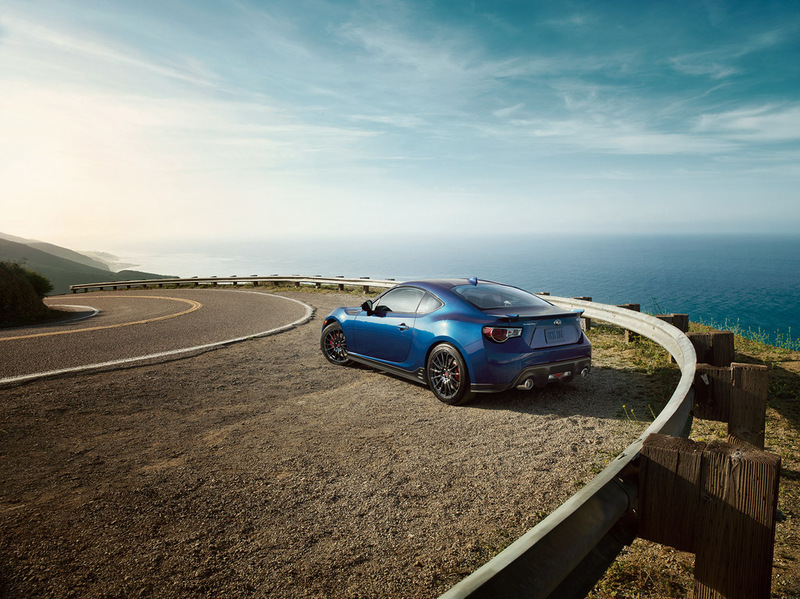 The BRZ Series.Blue builds on the BRZ Limited model and features exclusive trim and special details throughout. Its leather and Alcantara upholstery includes blue leather seat bolsters and head restraints. 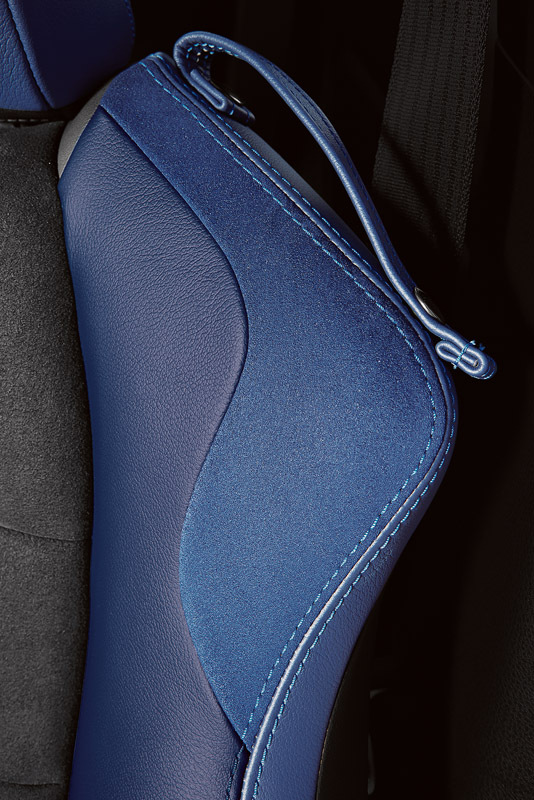 Blue stitching accents the seats and the blue and black leather-wrapped steering wheel, as well as the shift lever boot and leather-wrapped parking brake handle. The blue motif carries to the center console kneepads and door trim, accented by an embroidered silver BRZ logo on the front seatbacks. Carpeted floor mats pick up the BRZ logo and blue stitching, as well. The 2015 BRZ Blue.Series 6MT starts at $29,490. Handling has been improved for 2015 with revised suspension dampers for smoother motion and absorption to help achieve optimum contact to uneven roads for a more enjoyable driving experience. Also contributing to the BRZ’s handling are 4-wheel independent suspension and 17” summer tires with 15-spoke dark gray-finished aluminum-alloy wheels. 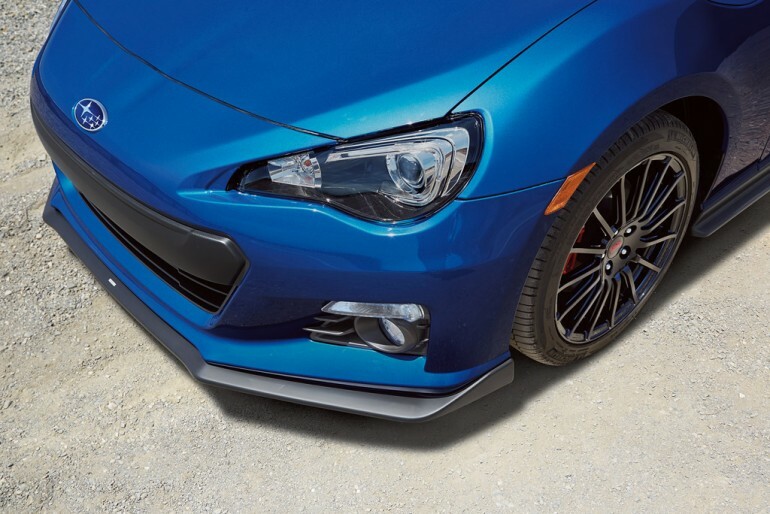 For the 2015 model year, all BRZ trims receive larger stainless tailpipe tips, simulated carbon-fiber center dash panel, and roof-mounted and body color shark fin antenna. The BRZ Premium 6MT has a starting price of $25,695. This is only a $100 increase compared to the 2014 model year. 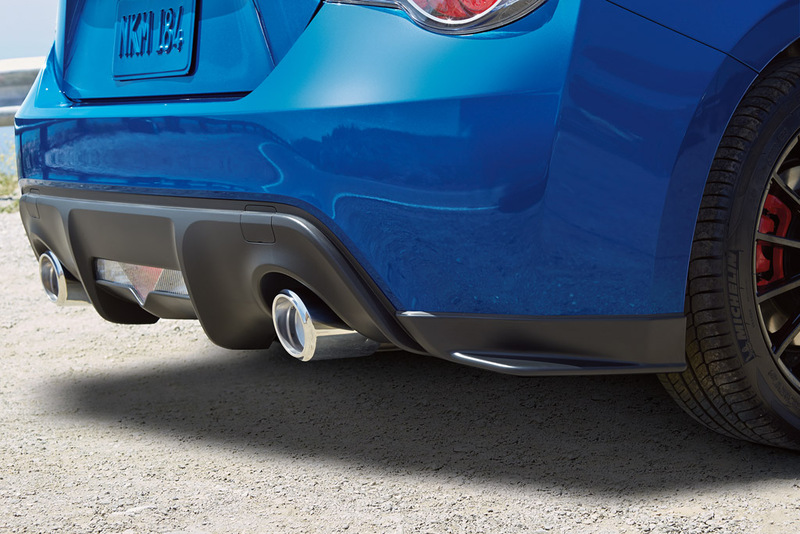 The 2015 BRZ Limited 6MT starts at $27,695. 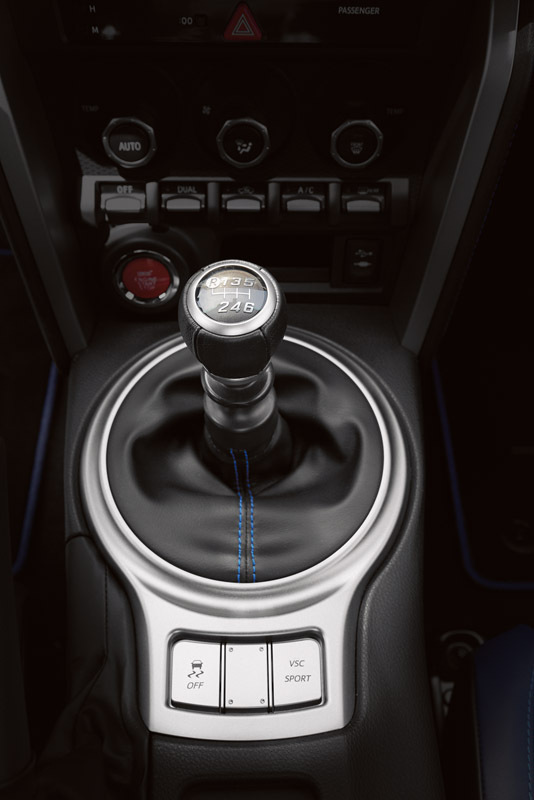 The only factory option for the BRZ Limited model is the 6-speed automatic transmission priced at $28,795. Both are also a $100 increase compared to the prior model year. Subaru’s signature exterior color, WR Blue Pearl is updated while popular colors Ice Silver Metallic and Crystal White Pearl have been added to the BRZ line. Available in Premium or Limited trim levels, BRZ models all boast performance features, such as the sport-tuned suspension with front strut brace and TORSEN limited-slip differential. 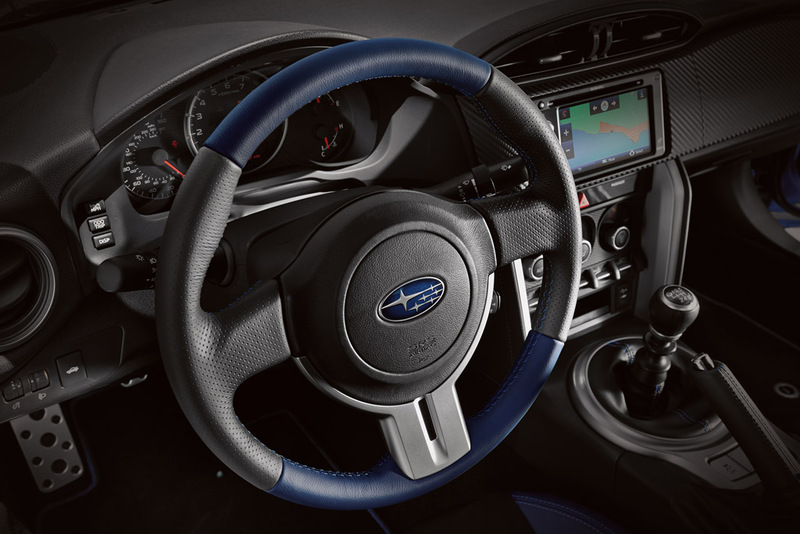 The Subaru BRZ Limited offers additional comfort and amenities. The BRZ Limited model adds a body-color trunk spoiler, standard fog light and Alcantara trimmed interior and Keyless Access. Inside, the seats are upholstered with Alcantara inserts and leather bolsters. Aha® infotainment smartphone integration included with the standard navigation system. The BRZ Limited substitutes a dual-zone automatic climate control for the Premium model’s manual HVAC system, and its standard All-Weather Package includes dual-mode heated front seats and heated side mirrors. A full security system augments the engine immobilizer that is standard in the Premium model. In the Limited, the dual visor vanity mirrors are illuminated, and front door courtesy lights illuminate when the doors are opened. 2015 BRZ models will begin arriving in dealerships this Summer.